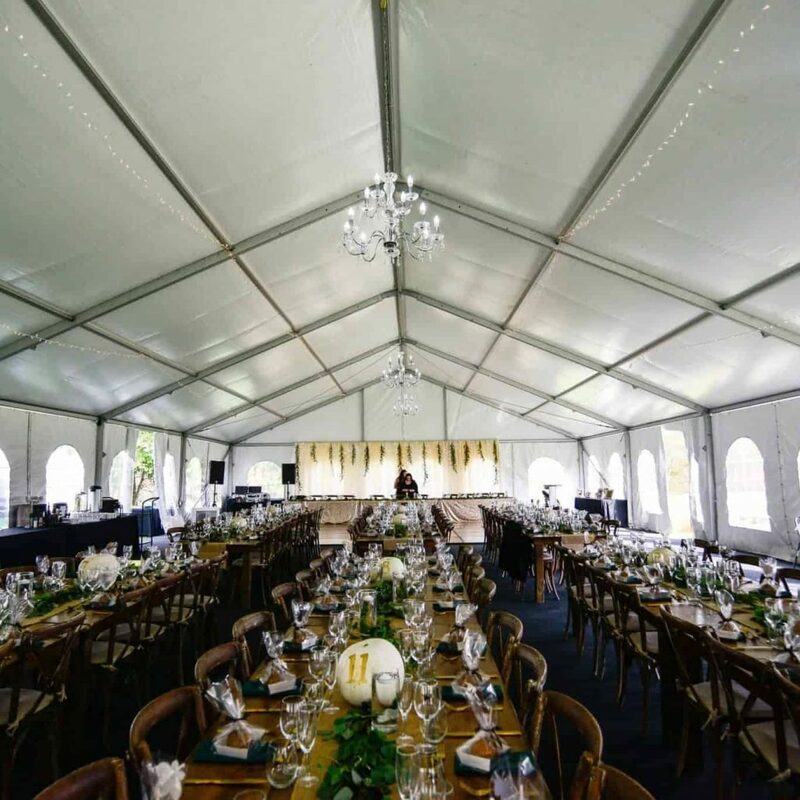 Tent Wedding Packages | Special Event Rentals / Party Rentals Inc.
Special Event Rentals wants to make planning a wedding seamless and stress-free! 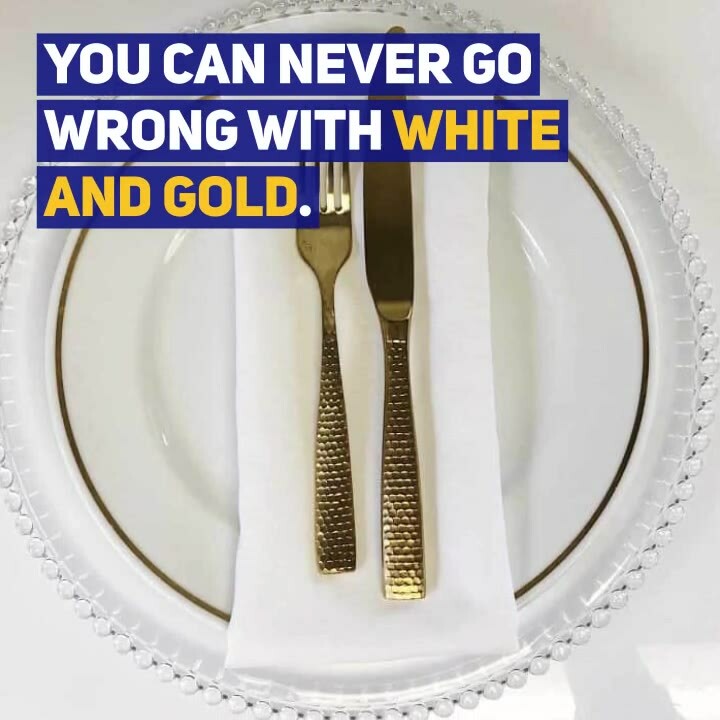 You’ll have enough minor details to worry about on your big day, so let us take care of your tent, tables, chairs, linens, tableware and more. Tents are extremely customizable, so we advise that you consider what you’re looking for in terms of size or style and come to us with your ideas. Our friendly staff is always ready to help make your dream wedding day happen! The length of the tent will depend on the space you have available. 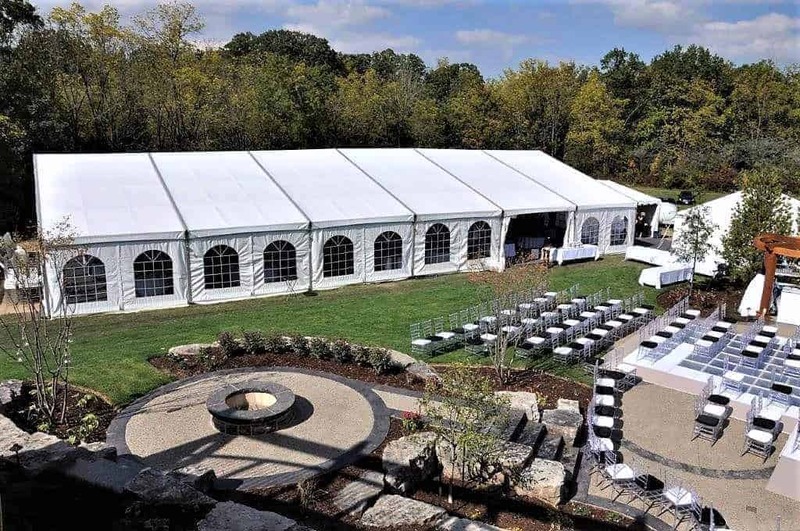 If the tent is going to be installed on private property or an outdoor event space there can sometimes be factors on the land that will determine the best place for the structure. Width is typically fixed to 20, 30, 40, 50 and 60 feet. Based on your guest list and decor preferences, we can recommend a suitable width so that your event isn’t crowded. 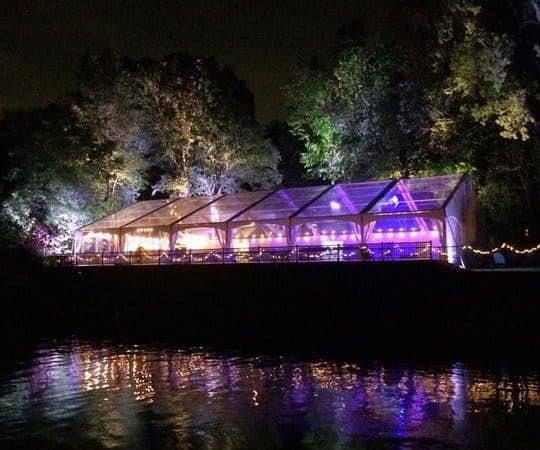 We also offer clear top tents, which are a gorgeous option if you’d like to add some fun lighting or if you’d like to have your wedding reception under the stars. Check out our tent page for more detailed information on the different styles we offer. As mentioned above, tents are very versatile and this doesn’t pertain to the structure alone. We also offer draping, lighting and flooring to complete the interior of your tent. Draping and flooring complete the interior providing the perfect mix of indoors and out. If you can’t find the perfect venue for your special day, why not let us build it for you? Our tent packages include all of your tables and seating as well! Take a look at our packages page to see the different tables and chairs included in each package level. Whether your tastes are casual, rustic or modern we’ve got an option for you. One of our personal favorites is the rustic package, pictured below, this package is perfect for anyone looking to add subtle charm to their reception. 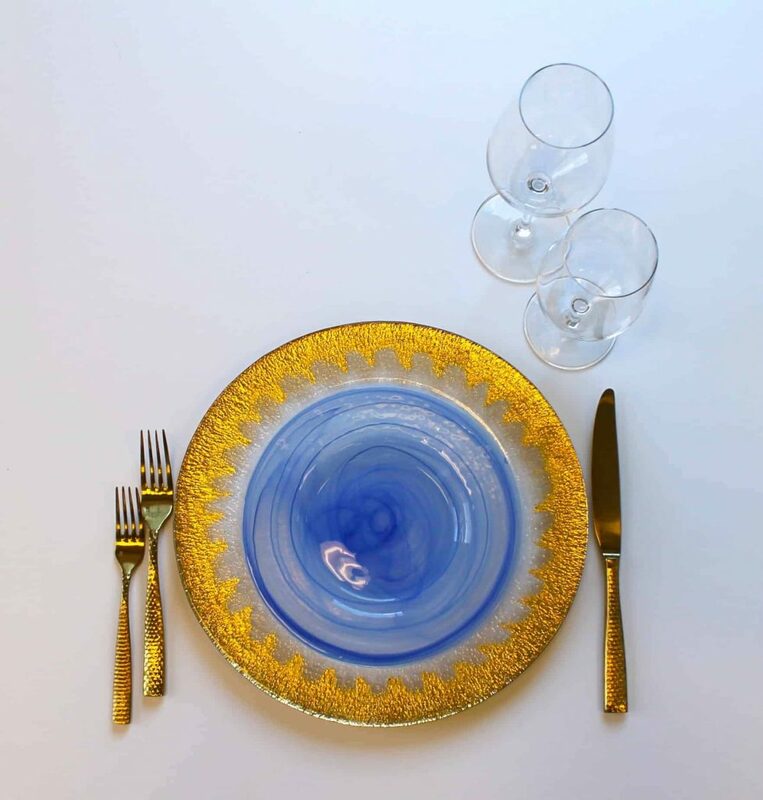 Complete the final details for your wedding day with place settings, also included in our Tent Wedding Packages. We have several new products available for the upcoming 2018 wedding season, take a look at our new products page to get inspired!